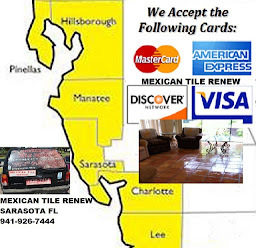 DO NOT USE RUBBER PADS UNDER AREA RUGS ON MEXICAN TILE: Under adverse conditions, after strong flooring strippers have been used, it may be necessary to sand Mexican tiles that have black or white dots from a rubber pad embedded in the tile. 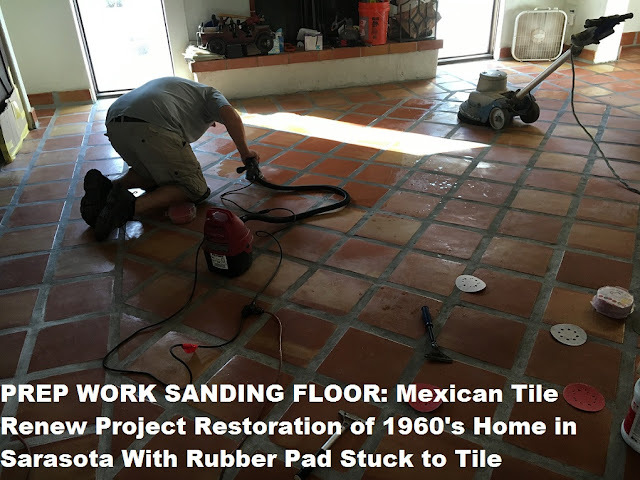 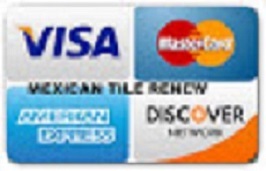 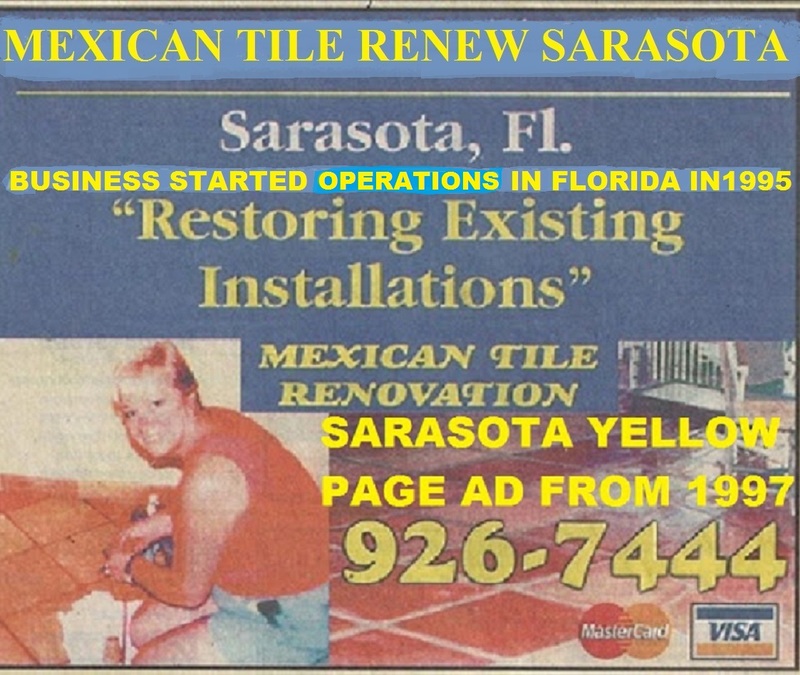 'Mexican Tile Renew' will use an oscillating hand held sander that does not mark the tile with any circles. 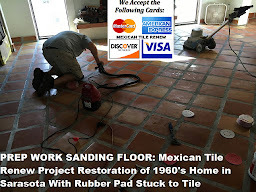 A simple sanding will take care of the problem seen above using a small oscillating sander. Oscillating sanders are easy to control, you can use them to round edges, sand inside corners as well as smooth a flat or rough surface. 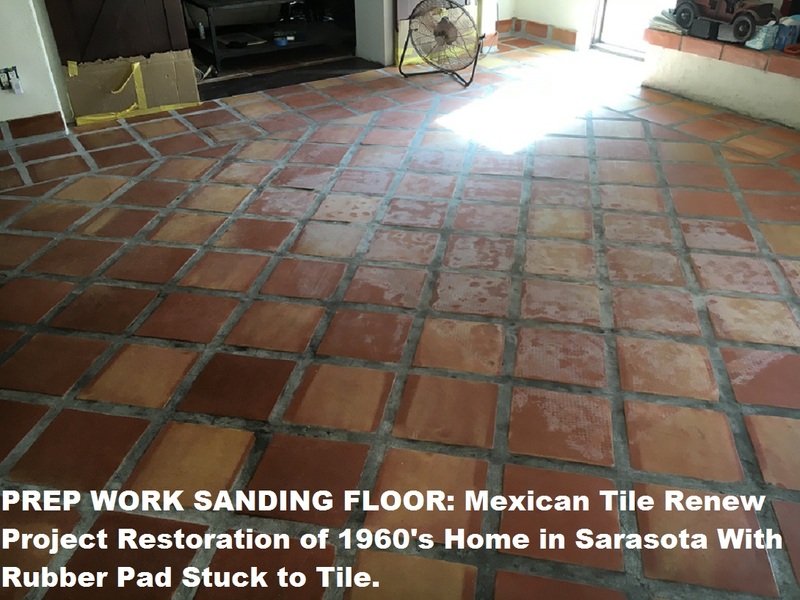 If stain appears near the surface of sealed clay, gently try sanding away stain. 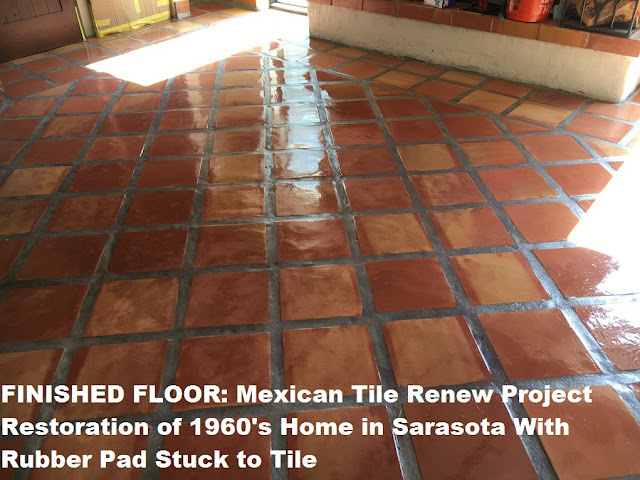 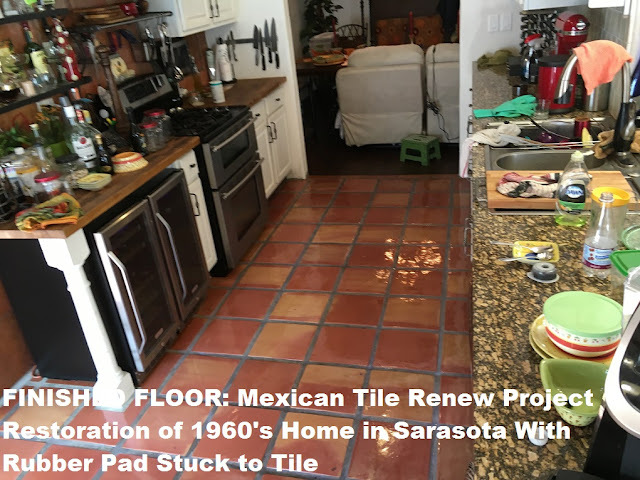 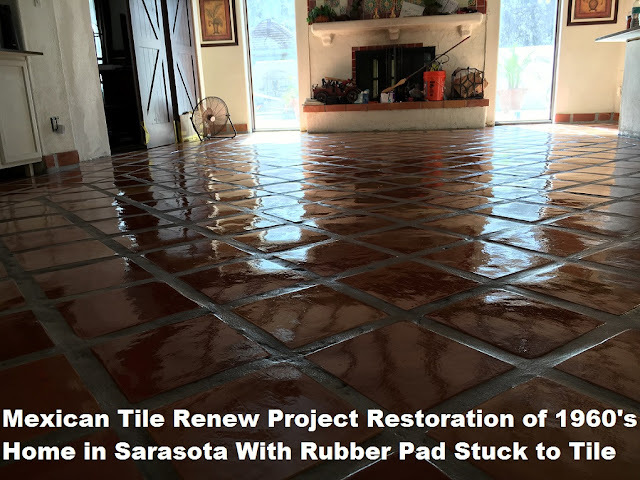 Mexican tile Renew follows this step and by stripping and cleaning and we will re-seal with a sealer that will color enhance the tile.